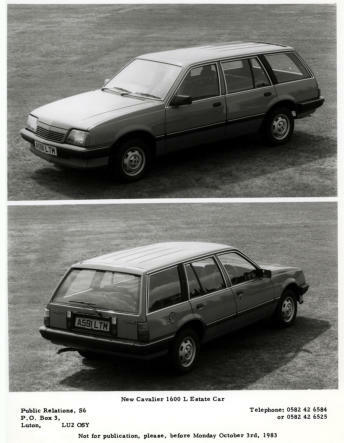 Although a prototype was produced a Cavalier Mk1 Estate did not make production. 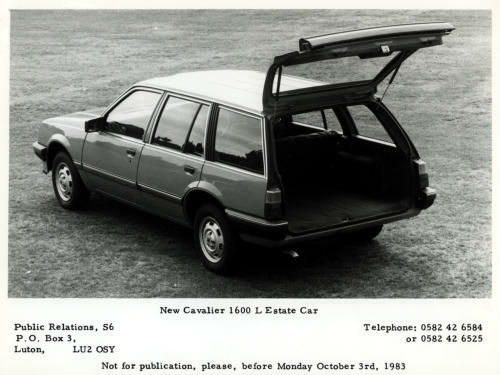 This changed for the Cavalier Mk2 as a Holden Cameria based Estate was introduced in 1983. However the model didn’t prove that popular losing out in sales to the Ford Serria for example. 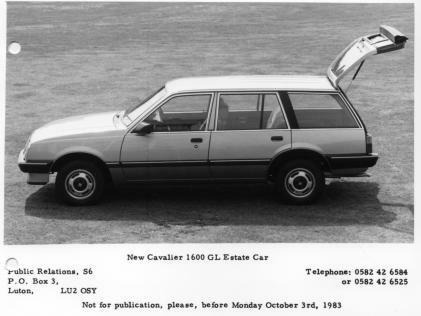 The Estate lasted till 1988 and the Cavalier Mk2 was the only Cavalier to have been produced with an Estate body. An early 1983 Cavalier Mk3 1.6 L Estate. 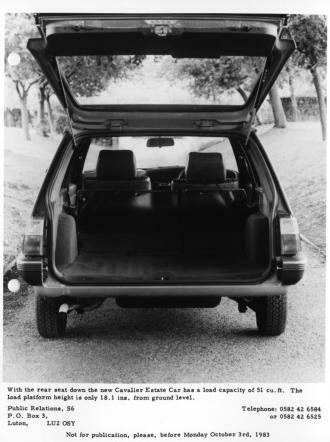 Another shot of an early Cavalier Mk2 Estate also a 1.6 L and a demonstration of the space in the back. 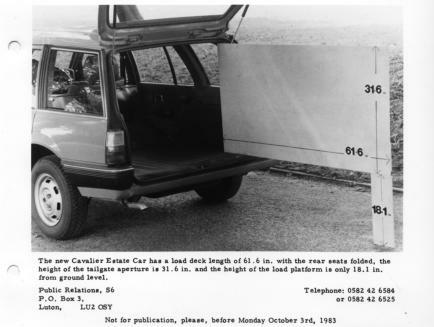 Another shot of an early Cavalier Mk2 Estate this time a 1.6 GL and a slightly different demonstration of space in the back.